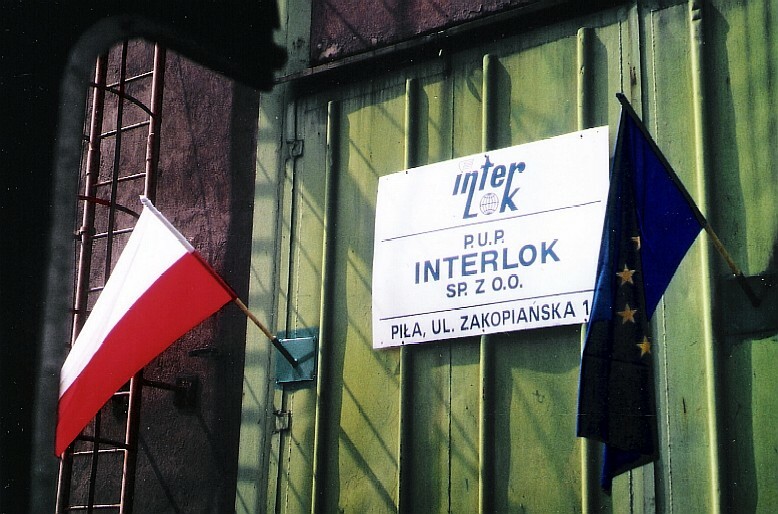 we founded the Polish rolling stock repair and trade Ltd. INTERLOK at Pila, being the only public-private joint venture between a West European partner and the Polish State Railway PKP. The focus of activities was laid on repairs and trade dedicated to steam locomotives, boilers and museum / tourism related rail equipment and technology. Growing requests from all parts of the world referring to other rail related topics led us to work within the new formula: THE INTERLOK GROUP. Nowadays, we work within an international network of partner workshops and suppliers among others from Poland, Germany, Bulgaria, Rumania, Slovakia, Italy and France. 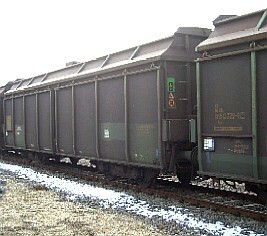 We offer currently among others: 40 miles and more second-hand good quality RAIL S 49 ex-works Germany - Berlin/Baltic Sea; 8 switches standard gauge of S 49 rail; 40 Fcs freight waggons discharging between and aside the track, revision valid for 4 years (1st photo left top); 40 waggons for wood transport Kbkks including fresh revision and RIV registration - drawing; 1 complete historical cereal mill photo on the left; 40 dumpcars Eakkmos with 2 seperate dump moulds, RIV registration, photo left bottom. 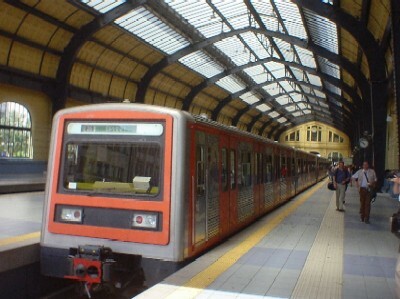 Our offer of commercial and historical rolling-stock material is constantly growing. Some further positions: fully revised 600mm diesel locomotive 30 hp "Gls30"; historical restored coach "Bi" of the 1920ies, usable as rolling or stationary restaurant; rail pile transport platform waggons with incorporated rail for MATISA portal crane, fully revised with RIV registration; 10 Fals TALBOT waggons unloading aside the rail, possible application for transport of timber shavings; 4-axle standard gauge steam locomotive TKp Slask with or without revision - see the photos. 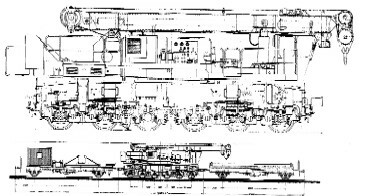 Furthermore: 1 turntable diameter 24 m; 1 battery driven shunting locomotive standard gauge; diesel locomotives std gauge 600-1200 hp, rail temper machine PLASSER & THEURER 08-32, one KRUPP rail construction crane from 1980, for 32 t load, including two work cars, 2 600mm gauge diesel locomotives DIEMA Ds60 and Ds90, 1 Polish 0-6-0 "Las" steam locomotive for 600mm gauge (Henschel replica), fully overhauled and supplied with an air brake pump... Please check as well our further CURRENT SALE LIST. 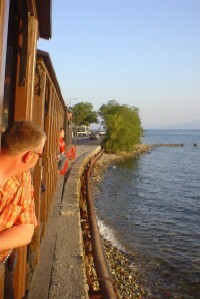 Besides that, we are glad to give further offers and resell your rolling-stock offers! 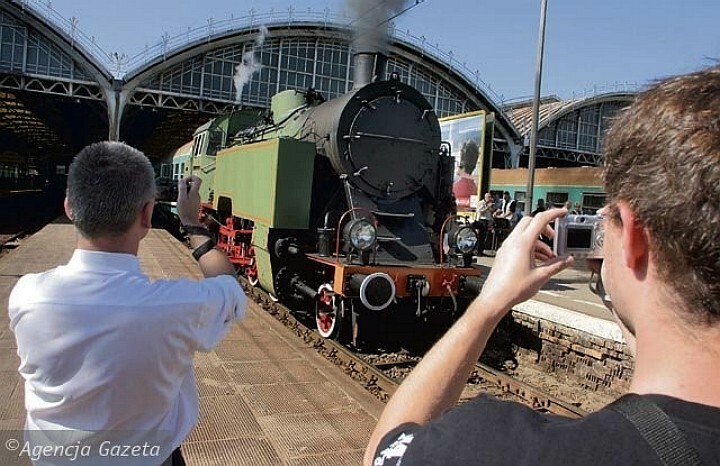 The tank steam locomotive TKt48-18 (Cegielski 1951/1544) returned in Poland to honours and, again, runs regular passenger trains! During five continuous days each month, the following PKP regional trains will be steam hauled by TKt48: Wroclaw Gl. (main station) off 13.50 - Jelcz Laskowice on 14.31; Wroclaw Gl. off 17.50 - Jelcz Laskowice on 18.31. 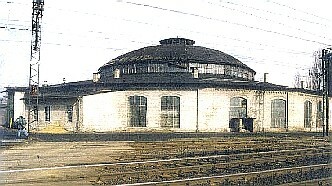 The locomotive's home is the museum depot at Jaworzyna Sl., but during the next years, TKt48-18 will be located at the PKP depot (lokomotywownia) of Wroclaw Gl. The spectaculous return of regular steam in Lower Silesia (South West of Poland) was enabled by a mobile workers' brigade of INTERLOK. 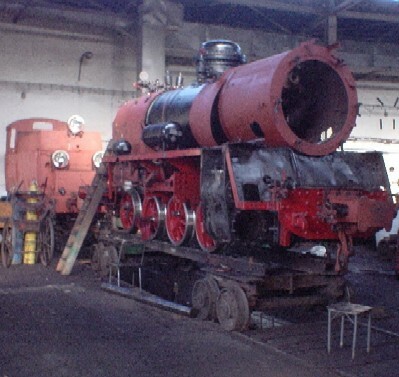 The Pila based steam specialists repaired the locomotive's boiler at the depot Wroclaw Gl. and, jointly with local railway workers, turned the locomotive with a valid revision back to regular service. A group of British and American steam enthusiasts paid the repair, taking contributions of 500 pounds and more from each member. 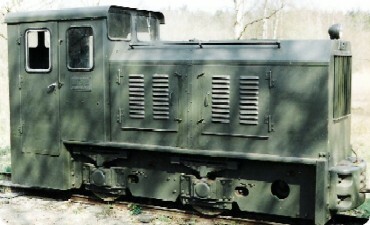 During the first years of service, the locomotive will run in green painting and without wind braces. 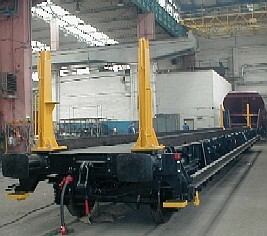 Later, the characteristic of this locomotive class wind braces will be installed. The intention is to remember the evolution of the construction of the TKt48 class that indeed run first without the braces. 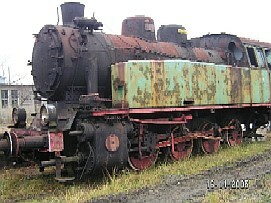 At the end of May 2006, the revised steam locomotive Px48-3916 (reconstruction of 750mm gauge loc Px48-1722, Chrzanów 1950/2022) was officially taken back into service on the meter gauge line Rewal - Gryfice after trial runs under supervision of a rail inspector and the operator, the City of Rewal. 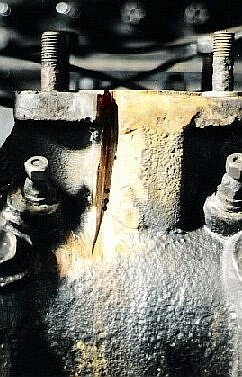 The repair at Interlok took longer than expected, due to cracks of the cylinders (see workshop repair photos below). 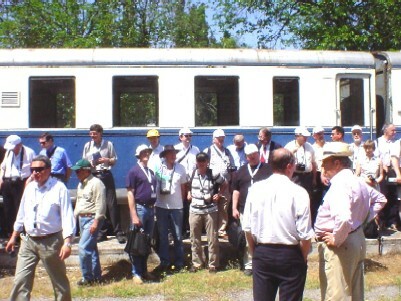 The 15.6.2005, representatives of the German meter gauge rail museum Bruchhausen-Vilsen passed a huge scientific study on the Pomeranean meter gauge network to the Warsaw rail museum. The research study on the ancient German, nowadays Polish rail network was written in German and translated into Polish. It had been completely financed by the German government with an amount of approx. 60.000 EURO. 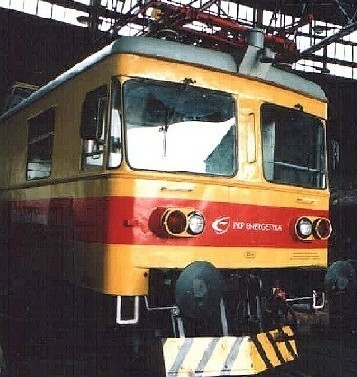 The study had been initiated in 1992 when Interlok gathered Polish and German rail enthusiasts with PKP officials at the Szczecin office of the German General Consul. 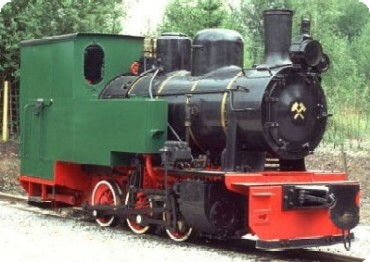 In order to maintain steam tourism during the following years when the line was transferred from Polish State's PKP to the City of Rewal, Interlok had overhauled the Px steam locomotive for a symbolic price. 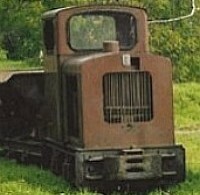 This saved the track from being stolen by local scrap dealers, and finally, the new operator could order the first overhaul of the locomotive on his own. 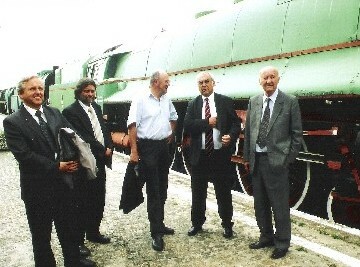 The celebration at the Warsaw rail museum in 2005 was attended by high representatives of PKP and the German Ambassy and had been coordinated by Interlok. The City of Rewal also will receive a copy of the scientific study. Along with the repair, the locomobile received among others the following new elements: overheater, firebox, boiler tubes, three transmission cogwheels with diameters up to 496 mm. The boiler was equipped with a new grease system, using a steam locomotive oiler, and also received an injector with the capacity of 40 l/min. 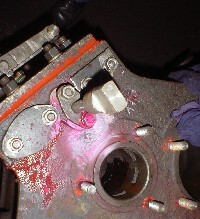 The dive piston pump was completely reconstructed (the locomobile was delivered just with the empty case of the pump). 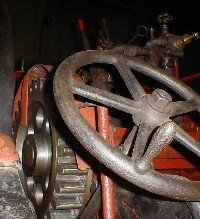 Especially delicate was the procedure of fixing cracks of the twin cylinder corps. 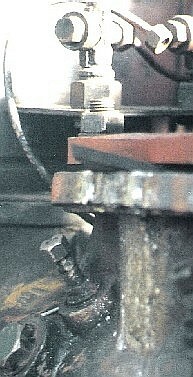 In order to avoid possible destruction of the inner cylinder chamber, the cracks were mended by using the clamp method instead of welding. 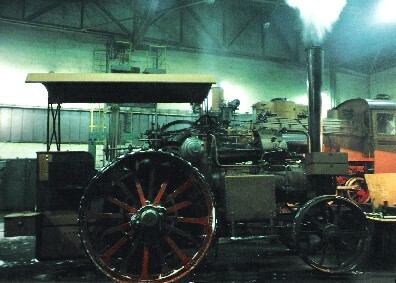 During 2005, Interlok gained further experience in repairing road steam vehicles by repairing the boilers of a German LANZ locomobile of LQ class fabricated in 1915, and a German steam roller of Henninger company, type CFW of class 20 t from 1928. 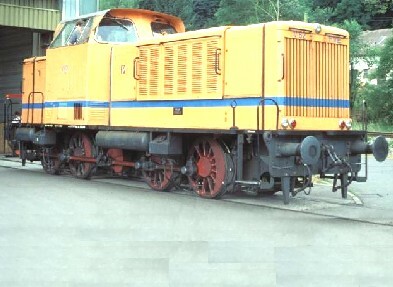 These repairs took place in cooperation with the German INTERLOK shareholder MALOWA Bahnwerkstatt Ltd., who repaired and assemblied the Henninger steam roller to final run. 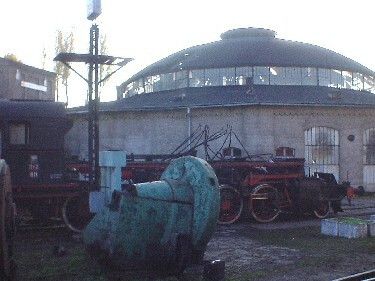 Further similar items are to be repaired - if expected subsidiaries will arrive, also for the Agricultural Museum of Szreniawa. 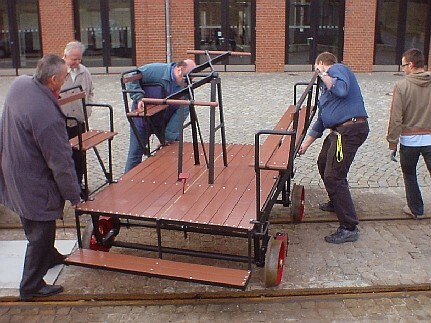 April 5th, 2006, Interlok delivered the newly built pump trolley D-K 011 to the Promotion Association of INDUSTRIEMUSEUM CHEMNITZ/Germany. 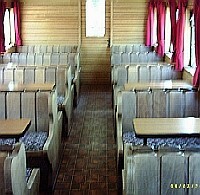 According to the wishes of the customer, the standard gauge vehicle has a bench on one lateral side and two seperate seats on the other side. 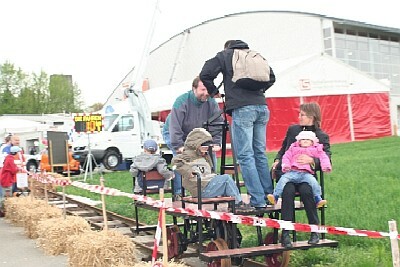 On Easter Holiday, the draisine was officially passed to public use - and around 10.000 museum visitors took the opportunity to run the pump trolley at a rail section in front of the museum. The Chemnitz Museum is situated in historical buildings of a former foundry, and since 2003, it exposes a unique collection dedicated to the industrial history of Saxonia and the city of Chemnitz. Further informations under: www.saechsisches-industriemuseum.de. 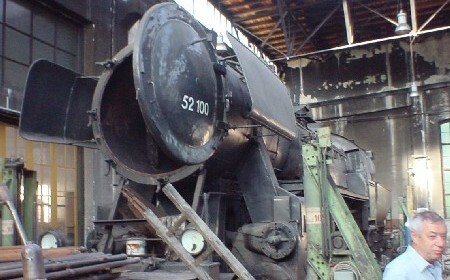 The Austrian railway museum HEIZHAUS STRASSHOF near Vienna has ordered the main repair of the steam boiler of locomotive 52 100 (Krauss-Maffei 1943). 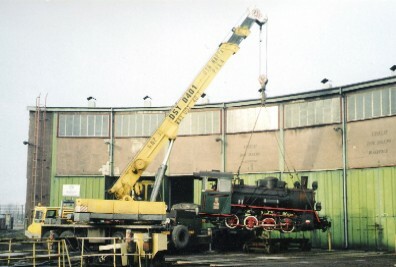 INTERLOK workers lifted the boiler off it's frame at the museum in February, 2006, and will mount it back on the frame after repair at Pila. 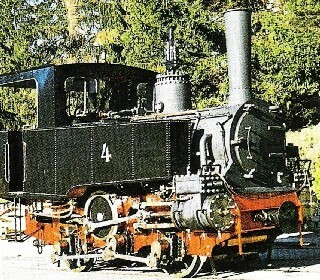 In 2005, another Austrian steam locomotive was turned into service with an INTERLOK revised steam boiler. No. 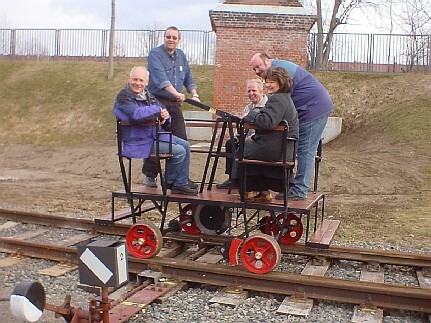 4 of Tyrolean Achenseebahn (1000 mm gauge) was composed out of the old frame of No.2, the rack transmission of locomotive No. 3 and the INTERLOK boiler, successfully serving throughout the season. On 19.10.2005, the standard gauge steam locomotives Ty2-911 (German class 52) and TKt48-191 arrived for overhaul at INTERLOK, Pila. 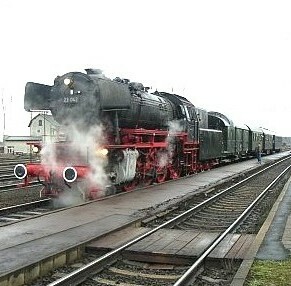 The express train steam locomotive Ol49-59 reached Pila at the end of November. The three steam locomotives are property of PKP Cargo and serve at the steam depots of Chabówka (South Poland near Kraków) and Wolsztyn (West Poland). 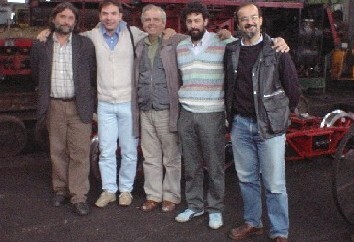 Mid September, 2005, the board of Italian enterprise LUCATO TERMICA (Alessandria / North Italy) visited INTERLOK at Pila. 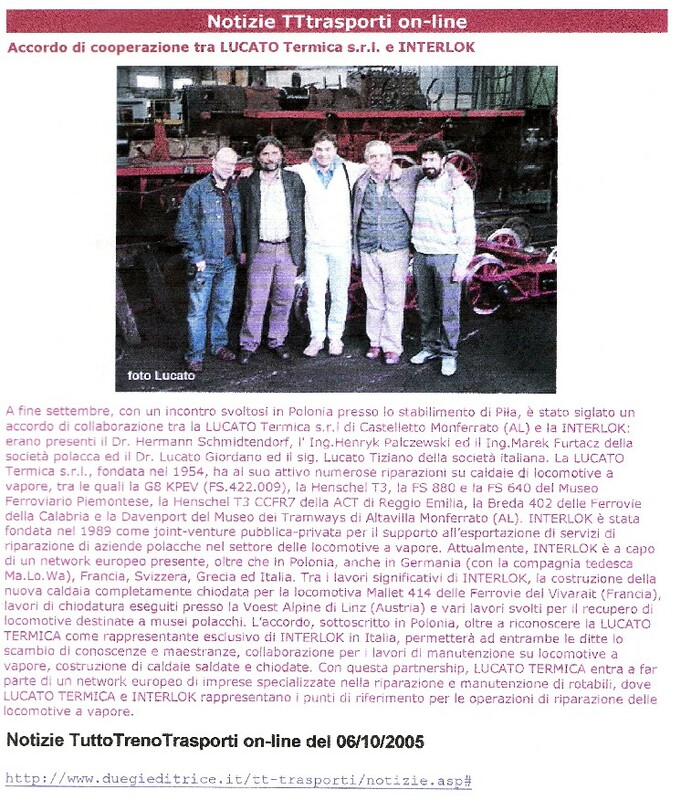 Both companies agreed that LUCATO will be the Italian INTERLOK representative. It is planned to cooperate at repairs of old and fabrications of new steam boilers. 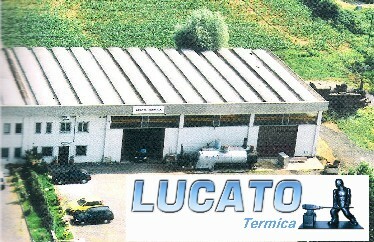 Lucato is a family enterprise founded in 1954 and repairs steam locomotives up to now. At the end of the 1970ies, the company concentrated its activities on industrial heating and compressed air installations. Poland's access to the European Union allows Polish INTERLOK specialists to work legally at all EU customers' sites at moderate Polish fees. Also outside their own workshop, INTERLOK specialists are capable to realize a broad range of repair jobs. 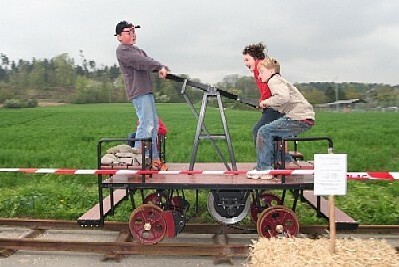 Since 2004, INTERLOK workers are frequent guests at the Eisenbahnmuseum Darmstadt. 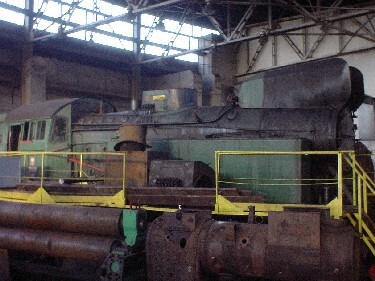 They performed revision work for the steam locomotive 23-042 (Henschel 28542/1954) and the diesel locomotive V62 (600 hp, MaK1956/600129). 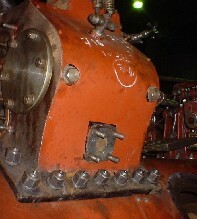 Repairs of a 1200 hp diesel and another steam locomotive are sceduled. 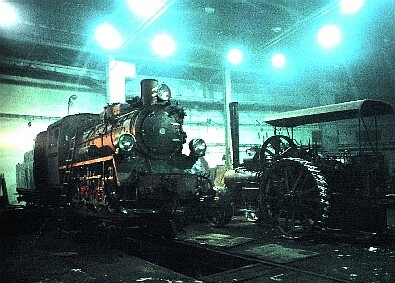 INTERLOK workers overhauled the steam locomotive ELNA 184 (built in 1946) as well as several 2-axle freight waggons of Ks class. 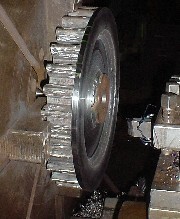 At the end of 2004, INTERLOK specialists worked in Austria under the supervision of Darmstadt's engineer Rudolf Langeloth. At the VOEST ALPINE factory site at Linz, they riveted 12 m high lofty multiple storey pressure vessels. 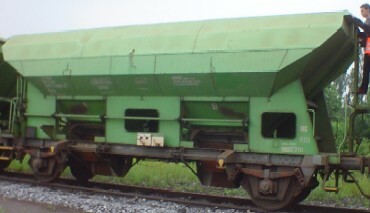 Between July and August 2005, INTERLOK helped to repair the vehicle SR53-04 of PKP Energetyka sp z o.o. 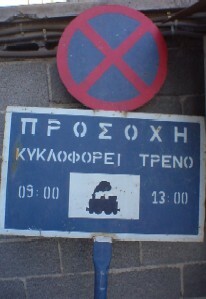 (see the workshop photo on the right). 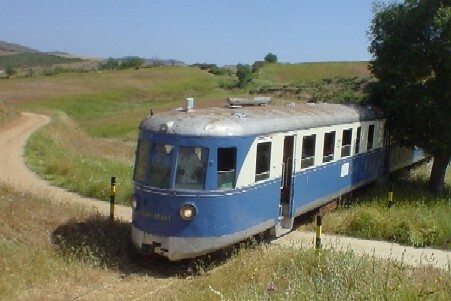 This vehicle is being used for diagnosis of electric traction and for inspections. PLEASE NOTE : All following information and offers are not binding for us, we may sell items in the meantime, we will not take legal responsability for any possible errors. 2002 COPYRIGHT FOR ALL INFORMATIONS AND PHOTOGRAPHS BY INTERLOK.